Celebrities put a lot of thought into naming their celebrity babies, but sometimes there are still repeats! 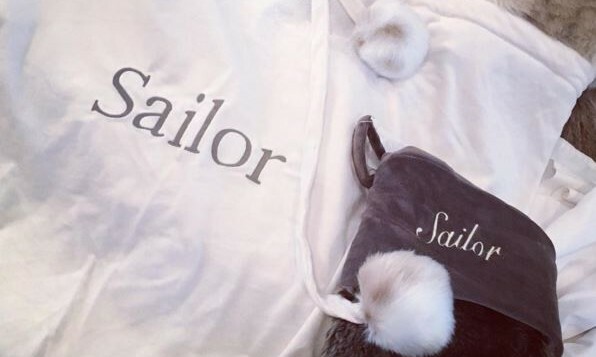 According to UsMagazine.com, the latest celebrity baby news is at that Bristol Palin is naming her daughter Sailor, which also happens to be the name of Kristin Cavallari’s celebrity baby, only spelled Saylor. In fact, it was mere hours after Cavallari revealed her celebrity baby’s name that Palin revealed hers. Was it mere coincidence or the sign of a copy cat? These celebrity babies are going to have something in common! What are some ways to be sure your baby’s name is unique? 1. Choose a unique spelling: Look at the name ‘Kyanah’ – it’s a different spelling of ‘Kiana’. There’s also ‘Saylor’ as opposed to ‘Sailor’, ‘Geoff’ instead of Jeff … honestly, the list is endless. If you want your baby to have a unique twist on a name, consider alternative phonetic spelling. 2. Pick a name that hasn’t been used in awhile: If you’re thinking of naming your future daughter ‘Katniss’, don’t do it. Every new mother and their mothers are going to be naming their girls ‘Katniss’ to give their kid an edgy and unique name. Because it’s a practice to name your child after a cool character, if one is incredibly popular like ‘Katniss’, your baby’s name won’t be unique at all. Try choosing a name that hasn’t been done in awhile. 3. Do some research: If you do your homework, it’s entirely possible to find a name that is unique and captures the style you want associated with your child’s name. ‘Caelum’ (Kay-lum) is from the Latin meaning of ‘sky’ and ‘Orion’ is a constellation (much like ‘Sirius’). Or, you can be completely out there and go the celebrity and video game route and name your child something completely different, like Lightning. Do you have a baby with a unique name? What name did you choose? Comment below!